A Driver’s License/Licence is an official document which states that a person may operate a motorized vehicle, such as a car, motorbike, truck or a bus on a public roadway. As most adult Canadians possess a valid driver’s license, the driver’s license has become the de facto standard form of picture identification. Different categories of licence exist for different types of drivers and vehicles, particularly large trucks and passenger vehicles. In Canada, driver’s licence is issued by the government of the province and territory in which the driver is residing. All provinces have provisions allowing non-residents to use licence issued by other provinces and International Driving Permits. Canadian licenses are also valid in the United States. 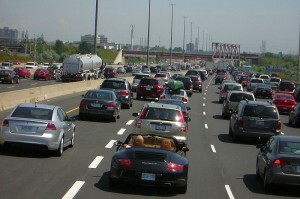 Drivers from out of province must obtain an Ontario driver’s licence if staying more than 90 days. New residents must apply after 60 days of living in Ontario. Starting June 2009, Ontario began issuing Enhanced Drivers Licences (EDLs) as an option to residents upon request. These licence while almost visually identical to regular drivers licences contained 2 distinct differences. The first being a machine readable code printed on the back of the card (visually similar to the same coding on a Canadian Passport). The second: an embedded RFID microchip. These changes were made in response to the heightened security precautions at US land border crossings. The changes allow for quicker procedures at a border crossing as well as a cheaper alternative to a Canadian Passport (40$ vs. 100$). Ontario allows the suspension of driver’s licenses for child support arrears through the FRO; job loss, and any other reasonable excuses, including the need for a licence to work, are routinely ignored, and you can expect to be jailed for up to 6 months immediately following your licence suspension. If caught driving with a suspended license, the vehicle you are driving will be impounded for 7-days. Learner’s permit (G1): Available at the age of 16, with the passing of a multiple choice road theory test and an eye vision test, a G1 licence is issued which allows the learning driver to drive on roads accompanied by someone with full valid driver’s licence whose blood alcohol content (BAC) is less than 0.05 and has been licensed for four years. The driver also cannot drive on 400-series highways and other high-speed expressways (unless accompanied by a licensed instructor) or between 12:00 AM – 5:00 AM and must maintain their own BAC at zero. Probationary licence (G2): Available after having held a G1 licence for 12 months, or eight months if the driver has completed and passed a ministry-approved driver education course. This person may drive a vehicle for 14 days after the day of completing the G2 road test without insurance as long as the vehicle itself is insured. Probationary licence is acquired after successfully completing a road test. At this point the driver must still maintain a BAC of zero. As of September 2005 teenage drivers with a G2 licence are restricted in the number of passengers under 19 that they can carry during night-time driving. Full licence (G): After 1 year of possessing the G2 licence a driver can take an additional road test that often includes driving on a four lane divided highway. 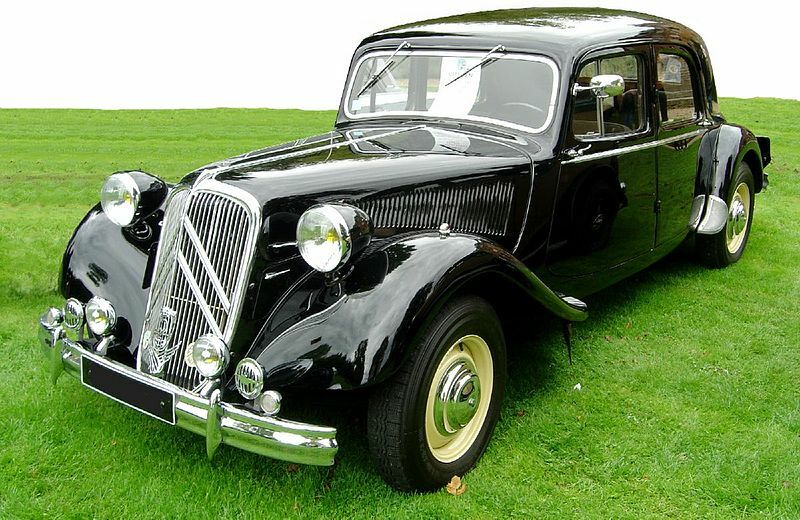 With successful completion they will obtain a full licence which carries no restrictions and are not required to take any further tests until the age of 80, provided they renew their licence every five years. Drivers aged 21 and under must still have a blood alcohol level of 0, even with a full G license. Drivers 80 and over must complete a vision and knowledge test and participate in a 90-minute group education session to renew their licence, and the maximum number of years that a licence can be issued for is two years. Class M1: Motorcycles, including a limited-speed motorcycle (motor scooter) and a motor-assisted bicycle (moped). Level 1 of graduated licensing. 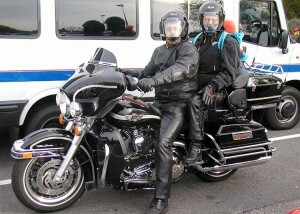 Holders may drive a motorcycle under certain conditions, which are: Blood Alcohol Content must be zero, riders can only ride during daylight hours (1/2 hour before sunrise to 1/2 hour after sunset), cannot ride on any highway with speeds of greater than 80 km/h except Highways 11, 17, 61, 69, 71, 101, 102, 144 and 655 and no passengers. Class M2: Motorcycles, including a limited-speed motorcycle (motor scooter) and a motor-assisted bicycle (moped). Level 2 of graduated licensing. Holders may drive a motorcycle but only with a zero blood alcohol level. 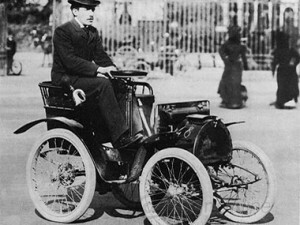 Holders may also drive a Class G vehicle under the conditions that apply to a class G1 licence holder. Class M with Condition L: Limited-speed motorcycle or mopeds only. Limited-speed motorcycles are motorcycles with a maximum speed of 70km/h. If manufactured after 1988 they are identified by a label on the vehicle that indicates it to be a “LSM/MVL”. 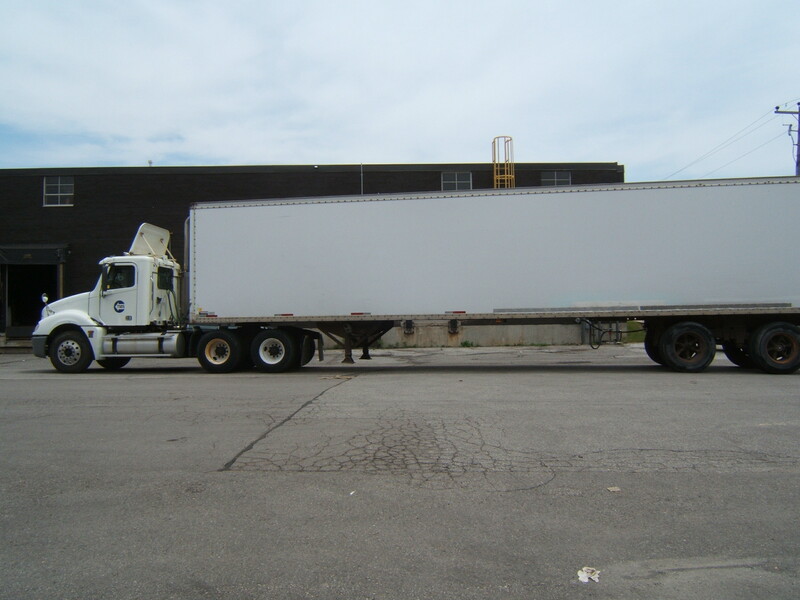 Class A with Condition R: Drivers with a restricted Class A licence condition would be prevented from operating a motor vehicle pulling double trailers or a motor vehicle pulling a trailer with air-brakes. Ontario has used a graduated licensing system since 1994. A driver can take as little as 20 months to get a full licence, however a driver must have a full (G) licence within five years of obtaining a learners permit (G1). Traffic laws are made by federal, provincial and municipal governments, and police from each level can enforce them. If the driver breaks a traffic law, they may be fined, sent to jail or lose their driver’s licence. If they get caught driving while their licence is suspended for a Criminal Code conviction, their vehicle may even be impounded. According to the Ministry of Transportation of Ontario, there are 10.4 million registered vehicles in the province and 8.5 million drivers. 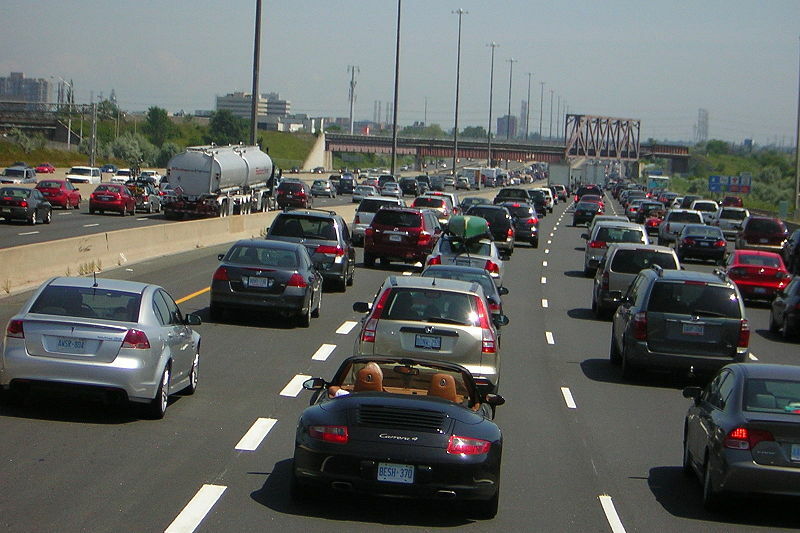 In Southern Ontario, motor vehicle traffic has become unbelievably dense. For example, In Toronto, on Highway 401 between Weston Road and Highway 400, the annual average daily traffic reaches up to 500,000 vehicles (that makes Highway 401 the busiest highway in North America, and one of the widest and busiest in the world). No wonder that the traffic law offences are at the top of the list of provincial offences. The number of carrying cargo trucks on the roads increases rapidly. Highway 401 is the transportation backbone of the Quebec City – Windsor Corridor, along which over half of Canada’s population resides. In 2007, approximately 42 million vehicles including almost 8 million trucks used Ontario’s international border crossing. The Ministry of Transportation statistics indicates that in 2007 there were 170 collisions involving large trucks (it was almost 15% of all motor vehicles accidents), and 56 people were killed and 2,807 people suffered significant injuries in motor vehicle collisions involving large commercial trucks. Obviously, when a huge truck collides with a smaller passenger car, the smaller vehicle is likely to be damaged much more than a truck. Although, motorcycle’s share of vehicle population in Ontario is 2.1%, motorcycles have a higher fatality rate per unit of distance traveled when compared with automobiles. According to the Ministry of Transportation of Ontario, in 2007, the total number of motorcycles involved in traffic accidents was 2,654 where 54 people were killed and 1,693 – injured. 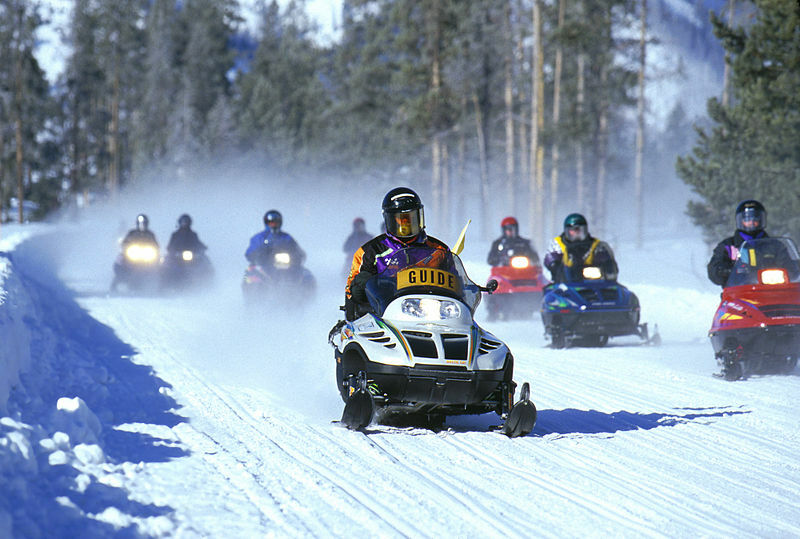 In Canada, there are more than 660,000 registered snowmobiles that cover over 1.65 billion kilometres of trails. Ontario’s snowmobile trail system is the largest in the world with over 40,000km of trails. During the snowmobiling season, on average, each week, over 40 people visit an emergency department for injuries from snowmobiling in Ontario. In 2005/06, there were 2,096 Emergency Department (ED) visits and 268 hospitalizations for snowmobiling-related injuries and 5% were admitted as inpatients to critical care/operating rooms. Northern Ontario experienced the highest rate of ED and hospitalizations. Males represented the vast majority of these cases (75% ED visits and 84% of hospitalizations). The majority of snowmobile injuries take place on private property and those under 20 years are the most likely to sustain serious injury. Alcohol was reported to be a factor in 49% of admissions for severe trauma cases in 2003–2004. The speed limit on trails is generally 50km/h. Municipalities may set lower speed limits for highways and roads under its jurisdiction by means of a bylaw. Municipalities may set higher speed limits for trails under its jurisdiction by means of a bylaw. Snowmobiles operating on a prescribed trail must display a valid trail permit. Lights are required at night, during inclement weather or insufficient light conditions. Helmets are required for drivers and passengers unless the snowmobile is operated on the vehicle owner’s property. Snowmobiles must be registered and insured unless being operated on the vehicle owner’s property. To successfully obtain an MSVOL, individuals must complete a driver training course consisting of six hours of instruction and receive at least 80% on a final written test. According to the Ministry of Health Promotion and Sport of Ontario, approximately 30% (over 4,000,000!) of Ontarians used bicycles recreationally and less than 1% in competition. Cycling incidents account for a significant portion of the injury costs arising from transport incidents – $0.44 billion or 12% of total costs. 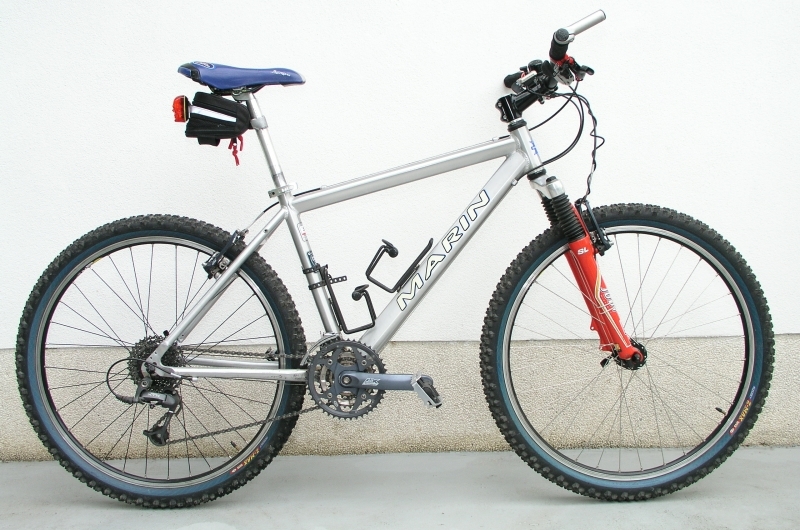 Bicycles, in particular, are identified as one of the top three most frequent products that result in injuries to children and youth between 5 and 19 years. Cycling ranked second to motor vehicle incidents with respect to non-fatal transport-related injuries, accounting for 15% of hospitalizations and 21% of emergency room visits in 2004. Anyone under the age of 18 years is required to wear an approved bicycle helmet when traveling on a public road. The fine for not wearing a helmet is $75.00 ($60 + $5 court cost + $10 victim fine surcharge). Cyclists 18 years and older, while not required by law to wear a helmet, are encouraged to do so for their own safety. New bicycle helmets in Canada should provide either the CSA or the CPSC standard. The CPSC standard is comparable to the CSA standard. Helmets with British or Australian standards are not widely available in the Canadian market but are safe to use. Studies have found a positive effect of bicycle helmet laws for increasing helmet use and reducing head injuries in the target population compared to controls (either jurisdictions without helmet laws or non-target populations). Anyone operating an electric bicycle must wear an approved bicycle helmet at all times. On some Ontario highways, like the 401, the 407 and the 404, the highway is divided into an Express section and a Collectors section. Express lanes and collector lanes are a set of two same-direction one-way multi-lane roadways. The outer set is usually called Collectors and provides access to most or all interchanges. The inner set is called Express and provides for non-exiting traffic. The Express has fewer exit and entry points than the Collectors, and cars typically drive at a higher speed in these lanes. Multiple exit routes are gathered together in the Express, allowing for these fewer exit and entry points. 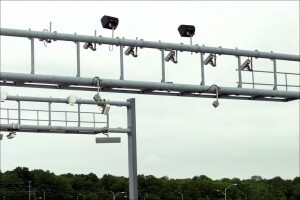 When exiting the Express lanes, drivers are exited back to the Collectors lanes, where they choose their specific exit. Each province maintains a database of drivers, including their convicted traffic offence. Upon being ticketed, a driver has a chance to plead guilty, guilty with an explanation or not guilty. To do so, the driver or their representative (a Lawyer/Paralegal) must attend the court for the town or city in which the violation took place. The back of the traffic ticket states the driver has up to 15 days to enter their pleas. If the driver pleads not guilty, a trial date is set and both the driver, or a Lawyer/Paralegal representing the driver, and the ticketing police officer, are required to attend. If the police officer fails to attend, the court judge will often find in favour of the driver and dismiss the charge, although sometimes the trial date is moved to give the police officer another chance to attend. The court will also make provisions for the officer or the prosecutor to achieve a deal with the driver, often in the form of a plea bargain. If no agreement is reached, both driver and police officer, or their representatives, formally attempt to prove their case before the judge or Justice of The Peace, who then decides the matter. If the driver pleads guilty, the outcome is equivalent to conviction after trial. Upon conviction, the driver is generally fined a monetary amount and, for moving violations, is additionally given demerit points, under Ontario Demerit Point System. Jail time is sometimes sought in more serious cases such as racing or stunt driving. If a driver is convicted, he or she must accept the penalties or try to appeal the ruling. An appeal will typically only be granted in cases where there were errors in the law or proceedings. Some drivers seek assistance from a paralegal that specialize in defending traffic ticket cases. The paralegal has to be licensed by the Law Society of Upper Canada. 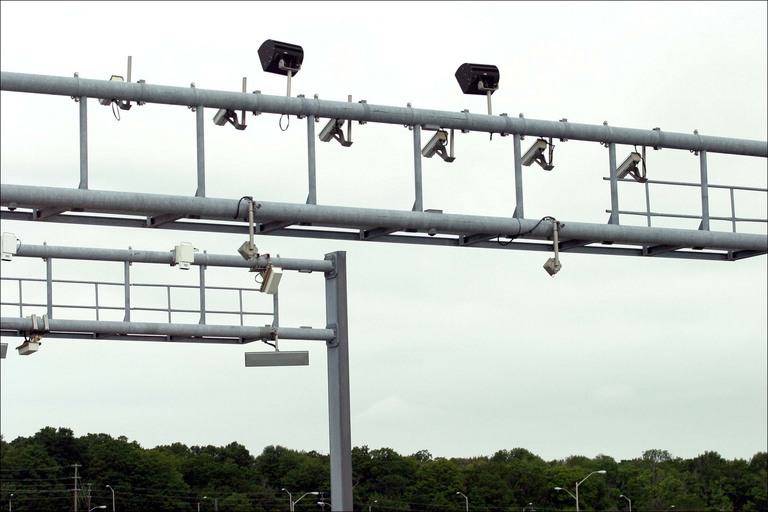 Often, motorists receive Yellow Offence Notices or Notice of Fine and Due Date or a Red Light Camera Offence Notice and are not sure who to talk to or where they should go to Request a Trial Date to contest their tickets. Often there is a sequence of numbers on the ticket or notice which can aid a motorist in locating the office responsible for their tickets. On a Yellow Offence Notice – look at the top left hand corner and you will see a four (4) digit ICON number. On a Notice of Fine & Due Date Notice or a Red Light Camera Offence Notice – look at the first four (4) digits of the Offence Number – this is the four (4) digit ICON number. After you have identified those four (4) digits, review this list of ICON numbers (http://www.toronto.ca/pay-toronto-tickets/poatickets/poa_offices.htm). You will find the four (4) digit ICON number, the corresponding Provincial Offence Office and corresponding phone numbers. If you want to know Ontario Court Addresses go to Court Locations page in the “Traffic Tickets” section of our website. Remember, paying the fine is an admission of guilt. There will be a conviction registered in your driver records. You will have no chance to lower your traffic ticket fine and demerit points (if any). Do not forget, if you have a conviction record, your auto insurance will be increased upon renewal. Calculate the cost of fighting the speeding ticket and weigh it against the chances of getting it dismissed or reduced to a lower charge. It is always a good idea to hire CPsolutions to fight your traffic ticket because we save your nerves, time & money. At CPsolutions, we have experience and knowledge; we know how to fight your traffic ticket. If you hire CPsolutionsto fight your traffic ticket, we will come to the hearing instead of you, and you will not be involved in a stressful process. You will avoid standing in line, finding and paying for parking and gas in order to travel to the provincial offences court just to request a trial date. We will request a trial date for your traffic ticket. There will be no need to make a request to change a date of the hearing for your traffic ticket, if you cannot attend it at the date. CP Paralegal Services can. If you have got a traffic ticket while far from home, we can handle your case without you having to travel to the court at that location. CPsolutions will develop the strategy of your defense. If there is an outstanding error on your traffic ticket, we may be able to build your defense on that. Probably, your defense will be based on exceptional circumstances that lead to the issuing of your traffic ticket. In some cases (for example, an obscured road sign or malfunctioning stoplight), it is reasonable to admit guilt without harming your traffic ticket case. The police officer who issued you the traffic ticket must show up at the court hearing for your traffic ticket. If the police officer fails to show, your case will be dismissed. Often, the police officers schedule many court hearings on a certain day so that they can appear for all of them at once. If you have a good reason to change a date, there might be a chance that the officer won’t show up. You need to make your request in writing a few days in advance of the scheduled hearing. CPsolutions can help you out with this. We make sure that all evidences are well-organized for your traffic ticket case. It always takes time and needs knowing the legal procedures to get necessary information (for example, disclosure) to fight your traffic ticket. At CPsolutions, we request this information in advance to develop the best strategy for fighting your traffic ticket.